Initially presented on – Thursday, Jan. 4, 3 – 4 p.m. Web Accessibility﻿ refers to the inclusive practice of removing barriers that prevent interaction with, or access to websites, by people with disabilities. When sites are correctly designed, developed and edited, all users have equal access to information and functionality. Seizures: ﻿Photo epileptic seizures caused by visual strobe or flashing effects. Basically everything that people with disabilities comment on are things that annoy everyone, so fixing these issues makes your interface better for all users! 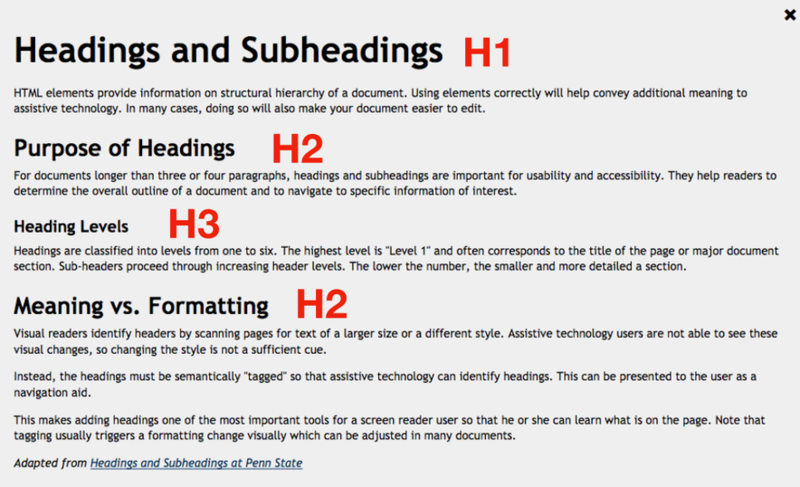 Use headings to convey meaning and structure. 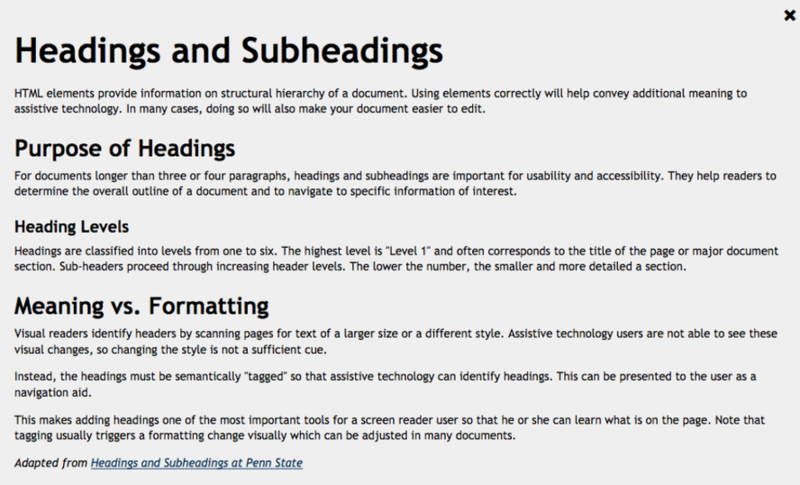 Generally speaking, paragraphs should run about 3-4 lines (5 maximum) or 2 sentences. Also never ending sentences and over complicated language. ﻿The number of characters per line matters. To support scanning behavior, use bulleted lists. 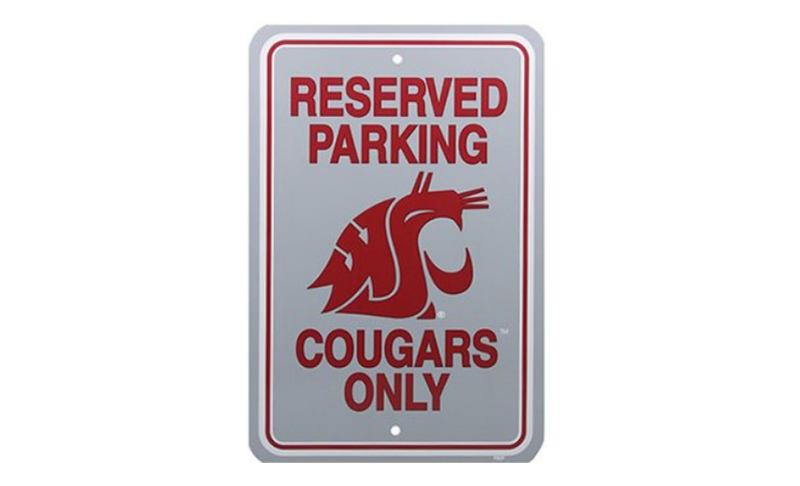 Washington State University enrolls students at 6 campuses, including Pullman, Spokane, the Tri-Cities, Vancouver, Everett, and the online Global Campus. Be accurate﻿ and equivalent in presenting the same content and function of the image. 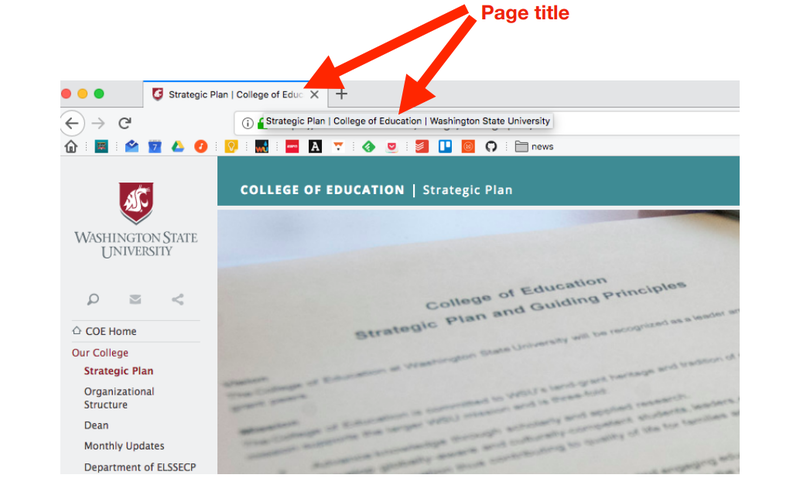 NOT be redundant﻿ or provide the same information as text within the context of the image. NOT use the phrases﻿ "image of …" or "graphic of …" to describe the image. 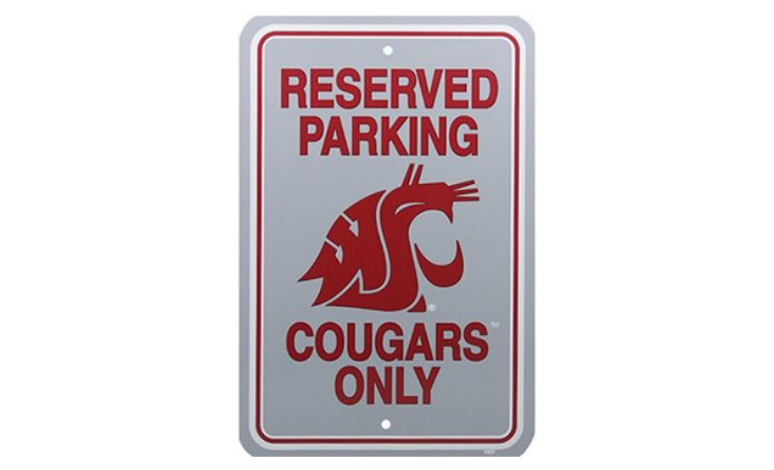 alt= "Sign that reads reserved parking cougars only"
Videos without captions (subtitles) was by far the obstacle that most people commented on. according to axesslab.com when analyzing a thread about folks major frustrations with using the web. The following recent BBC news headlines squeeze immense meaning into as few words as possible. ﻿The average just 5 words and 34 characters.